Most Popular Party Bands in the U.S.
Ok, so you're having a large event. you need it to be perfect. you need it to be loud, big, energetic. You need a band that can appeal to all of your guests, not just a few. The problem is, you don't know where to start. 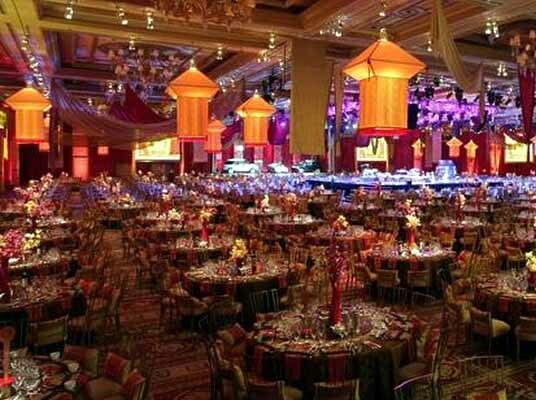 Big events have big costs and if you're going to spend that much on entertainment, you want to make sure you aren't making a mistake. There are literally thousands of event bands in the country.... what do you do? You could find a local band and try to save some money; you could ask your colleagues if they know of a good one; you could do a random Google search (which may be why you're here right now. This is a 10 piece band with 3 phenomenal lead singers, a full horn section, and the versatility to add or subtract members (from a 6 piece to a 14 piece, Vegas-style show). This group plays everything from classic rock to top 40s; country to hip hop; and they are incredibly experienced and easy to work with. As a booking agent, we have hired them countless times and have heard nothing but amazing feedback from every single client. If you need a high-energy show band, there is no more reliable and consistent group than this. If you are looking for some of the country's most talented vocalists and an extremely high-energy show, the Party Crashers is your band. These guys are constantly rehearsing and adding new songs and elements to their repertoire. As an agent, I am getting more and more people ask about this band by name and they are quickly becoming the country's most popular Party and Event band. I know this can sound an awful lot like a sales-pitch, but there is a reason these two bands are our most popular bands. There is just no other like them. There is something to saving money and trying to find a solid, inexpensive variety band; but if you simply need the best and a guarantee of an awesome show, stick with either the Groove Merchants or the Party Crashers.